12 months ago I published my very first blog post; yikes reading it still makes me cringe but it marked the start of creative process that I have (for most of the time) enjoyed. So after 12 months of blogging I think it’s a good time to reflect, don’t you think? Am I still passionate about the reasons why I started this blog in the first place? So I guess these are the blogging tips I have picked up along the way. Linking back to older posts has allowed me to share older content that new visitors would not have seen as not all visitors will dig down to older posts previously published. I’ve also discovered a great plugin called Revive Old Post, fab for retweeting old posts and I can set my own parameters for what gets re-tweeted. Revamped my site by changing the theme. My new theme, Kerli, is more me, easy to customise, easy to navigate and it’s design is responsive so easy to read on tablet, desktop or smartphone. I recommend you read this great article, whether a newbie blogger or looking to change your blog theme. Appreciating the importance of Blog maintenance, it’s also a great way of updating content and source of inspiration if you get a touch of bloggers block. 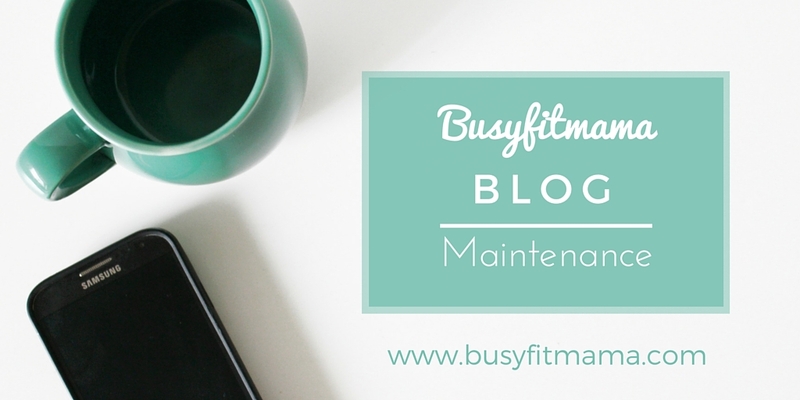 Read my blog post on Blog Maintenance for tips and advice. Upgraded my Canva account to Canva Work; this has helped me to organise my designs more efficiency and the ‘magic resize, option saves time as well as providing design consistency when adapting blog designs across the different social media platforms. Engaged more with Pinterest; I absolutely love this social media platform and found that I have got more visitors coming to my blog via Pinterest than Twitter, Facebook or via online search. Following other bloggers has inspired me to present my content differently, take a different approach to how I design my graphics but most importantly to ALWAYS be myself when I write! Some of my favourite bloggers include White Oak Creative, Wonderlass, byRegina.com, Carly Rowena and Kayla Itsines. My photography skills still need major room for improvement but I’ve not quite thrown on the towel. It’s all about getting as much practice as possible and being more organised. Pinterest, as always has been a great source of inspiration and advice. Using different blog post formats; I think I tend to be very samey with the format of my blog posts so I need to work on publishing content in different formats especially those that potentially attract more readers. These include Lists, How To Guides, Curated content, Tips and Advice. This blog post from A Girl Obsessed offers fab ideas for different types of Blog Posts that gets loads of views. Engaging more with fellow bloggers. I guess I’m a bit shy when it comes to commenting on other bloggers blog posts but I know from having read the advice from other blogs that commenting on posts can help to grow readership on your own blog posts. So I guess I need to overcome the shyness and engage more! What are my blogging goals for the future? I suppose it’s really to keep blogging and not worry about the frequency of publishing posts. I know most blog advice recommends consistency and a regular schedule when you post which I do agree with if you want to engage and grow readership but I’m not going to beat myself up if I still fall short on this. Do I still have that passion to continue to blog? Honestly? The passion for my blog has at times dwindled. Partly because there has been a lot this year to contend with on a personal basis but I have enjoyed the paths that blogging has taken me down. I’ve discovered new interests, read more, flexed my brain in different ways and have totally loved the whole process of being creative. The original goals of why I started this blog still remain but I’ve struggled to committing the time I’ve needed to grow readership. But you know what? I’m perfectly happy with that. I will continue to blog but I’m not stressing over how often I will try and publish or obsess over stats. 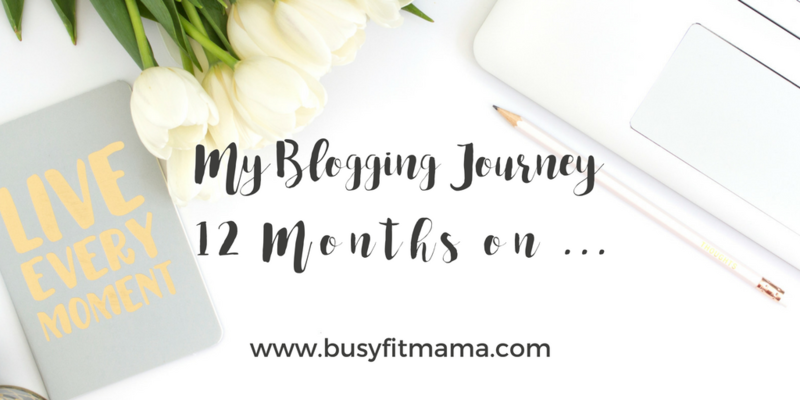 I intend to enjoy the blogging process and see where this blog takes me in the next 12 months! Thank you for reading this. Do you blog? What are the positives you have taken from blogging? Have you any blogging tips or advice for the newbie blogger? Blog Maintenance; don’t think of it as a chore as there are benefits to doing it! Blog Maintenance is something that I have learnt is an absolute must when it comes to running a blog. 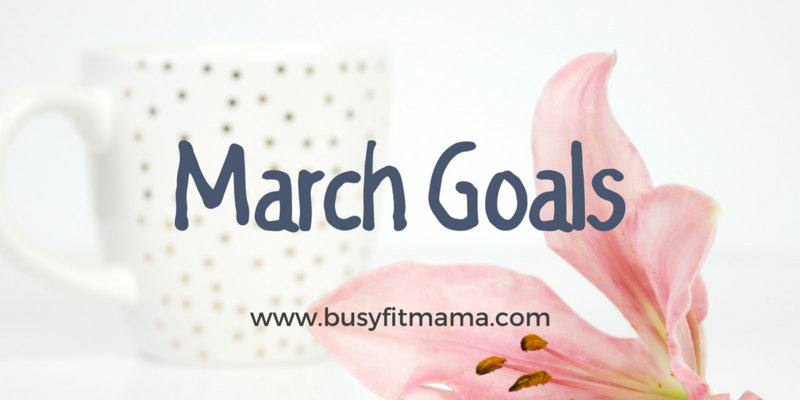 When I started Busyfitmama I had the rose tinted view that I would write a blog post, add some images and throw it out there. How lovely eh? My blogging skills are evolving all the time so it makes perfect sense to revisit not only my old blog posts but also my blog in general to make sure it still represents the direction of my blog. By refreshing and updating my blog I’m not only increasing the likelihood of more traffic but I’m also improving the look of images, refreshing the content of posts and perhaps removing irrelevant, out-dated items. It can also inspire me to write a new post as a new idea might pop into my head as I read through an old post. So here are my own blogging tips when it comes to blog maintenance. My photography and design skills are evolving all the time, still not great but definitely an improvement on my early attempts to create images and graphics for my articles. I’m trying to develop a more cohesive look to the my images and graphics so I tend to periodically review each article to make sure it fits with what I am trying to achieve visually with my blog in general. I might want to change the font on my blog headers or change a colour scheme. I love Canva and I have recently upgraded to Canva for Work so I can develop a more cohesive look with colours, fonts and layout for my graphics. I am also starting to add my own images and replacing some of the stock photography but that’s a very slow process! Can I add or delete any of the information? Are the links working? Can I link an older post to one of my more recent posts? Can I refine the title in any way, perhaps make it more SEO friendly? If a post is completely outdated or now irrelevant to you blog then remove it completely. I use the Yoast plug-in to help make my blog more SEO friendly. I will review keywords and post titles. Do I need to change anything? Shorten a title or maybe change a keyword? I’ll also review any links I have in the blog so check they still work; if not they are removed and maybe replaced. The hope is readers will arrive at a blog post you’ve just published, love it and want to read your other articles? Yes that happens but not always. I tend to take an older post, update if necessary and then re-post onto social media. I will use Hootsuite as a scheduling platform to help me plan ahead and target times when I’m likely to get more traffic. Blog maintenance needn’t be a chore. It’s a must for me and instead of finding it a tedious task I see it as a way to re-focus and ensure that what I publish fits with what I want the direction of my blog to go in! I find it’s great when I am short on inspiration; reading an old blog will often give me idea for a new post! Don’t think of it as a drag and something you put off. Do it as a means of reflecting on your past blogging journey and provide focus for what you want to do next! Do you carry out blog maintenance? Do you find it a chore or something that can be quite positive? Have you got any blogging tips when it comes to maintaining your own blog?